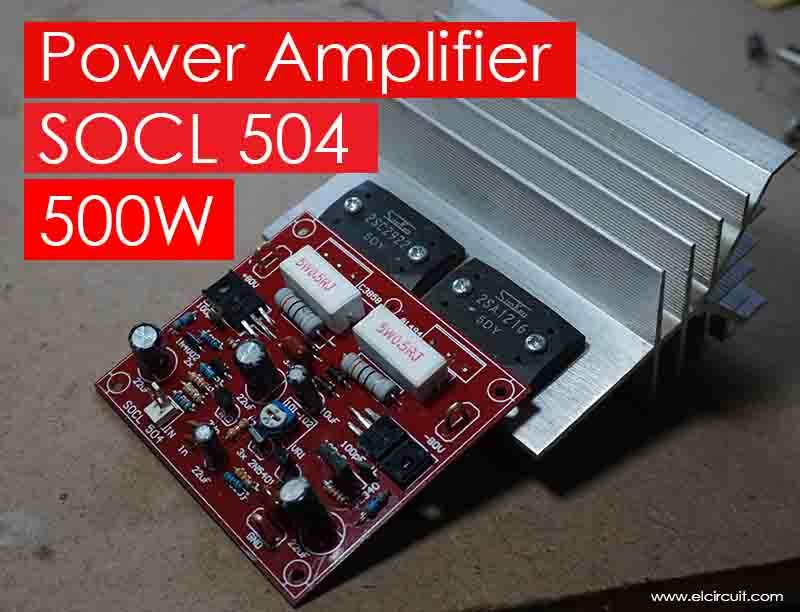 The SOCL 504 Power Amplifier circuit is now possible again as the trend amplifier, is simple and the quality is good for indoor and outdoor sound and cheap power amplifier circuit. Well, turn your trying to listen to how the 500-Watt SOCL that in fact, the result of the development of 150 Watt OCL modified for high voltage above 40VDC. Power Amplifier SOCL 504 500 Watt has tested with 45V DC and 80V DC voltage is still good and flat sound almost all the frequency obtained and still possible in the modification to tef to get bass thicker and an addition of the number of final transistors to increase the power of 18-inch speakers. Three transistors are VAS deliberately bolted on the PCB board though not hot, just the model let it be different from the original version. To get the maximum output power the power amplifier circuit requires a DC voltage source with a large current so that the power supply for this power amplifier circuit should use minimal transformer 20 A can be given at least 45V DC to 80V DC. This SOCL power amplifier can be modified using a power output of 10 pairs of MJ21194 and MJ21193 power transistors with a maximum power of 2000 watts or if using Toshiba 2SA1943 and 2SC5200 with the maximum power of 1500 watts of course with adequate transformer capacity. Hi bro, i have a toroidal transformer an output of 35-0-35 volts will it work,? thanks. hi need your help can i know the dc bias of this ocl amplifier or its just adjust till 0v at the output of the amplifier . 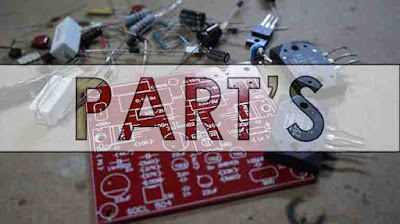 secondly could you please give the dimension of the pcb cause have not seen it in your description. thanks ...have already all components in hands just need to make the pcb . for adjusting dc bias it on RV1, adjust the trimpot until 0v. If you cant minimum 20mV this amplifier works normally. 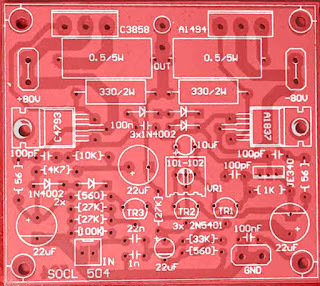 The PCB Size is 82mm x 72mm. See newest video, this amplifier using for subwoofer. 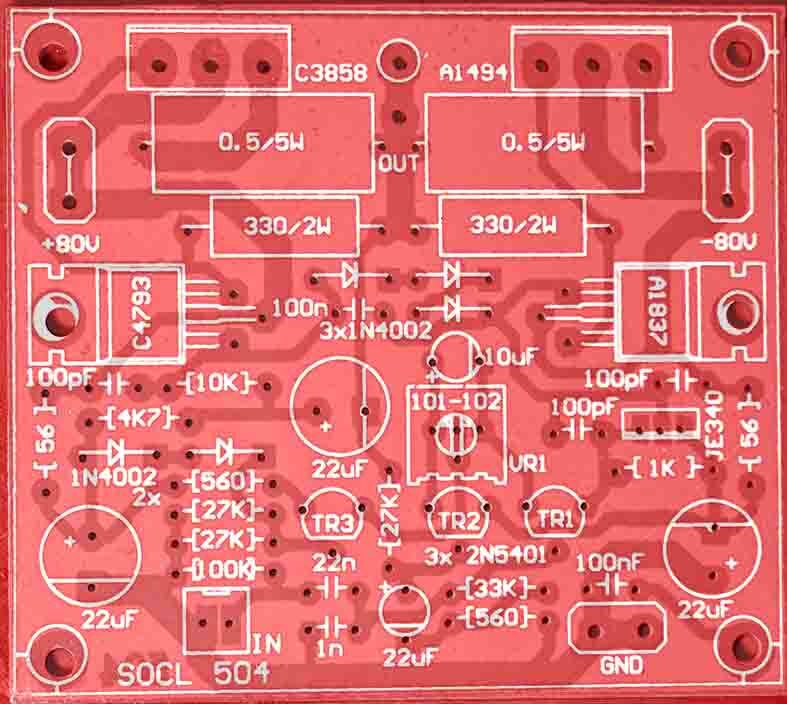 Hello..what is the output impedance of this ampliflier? 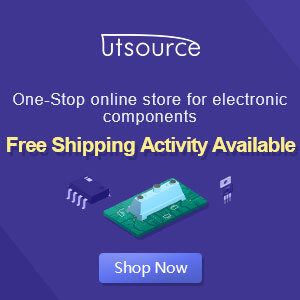 Can you share the mirror of the pcb lay out? thank you so much for this awesome amplifier. 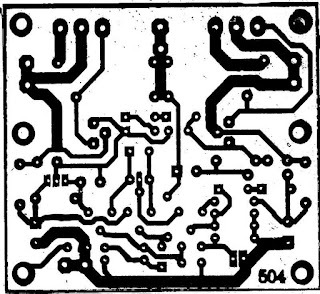 what will be the output if i use 35-0-35 / 20A transformer and 6 pair of final transistor ? 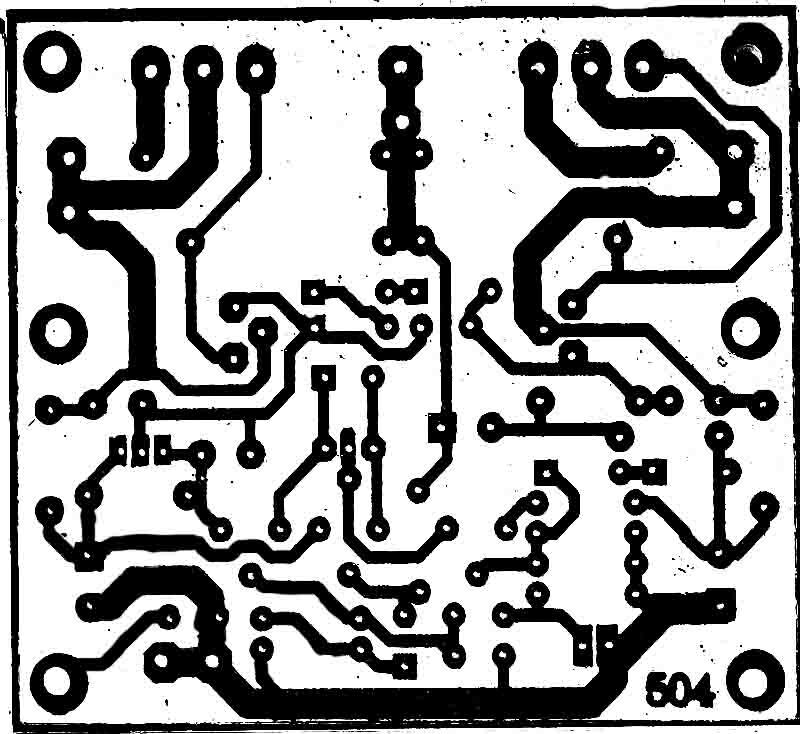 Can i use 55-0-55/20A transformer ? How much output you are getting with 35-0-35 and how much output transistor you used ? How much output we get after using 35-0-35/15A transformer ? 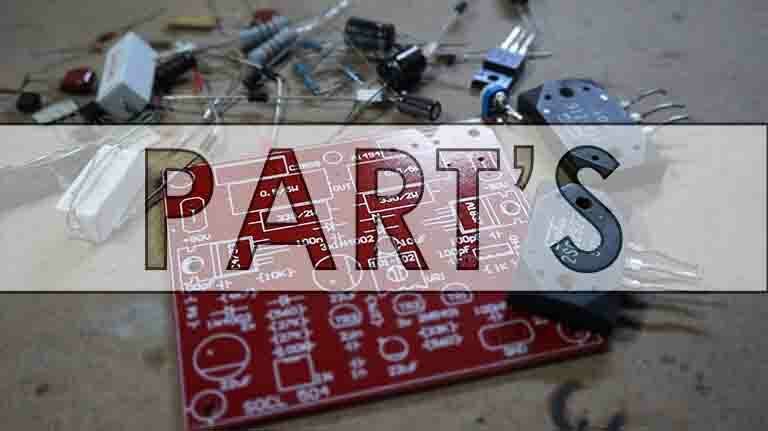 Sir i made it and i was working awesome and after few days the mje340 is heating a lot and the 10k resistor near c4793 is heating a lot , and the driving transistor c4793 also heating a lot and a1837 is little heating but output in the speaker is good . But after using 55-0-55/20A transformer the mje340 and 1837,4793 driver transistor are heating and 10k resistor and diodes near 4793 transistor are also heating . Sir how i fix this heating problem with high voltage(55-0-55/20A transformer) ? What is the value vR?